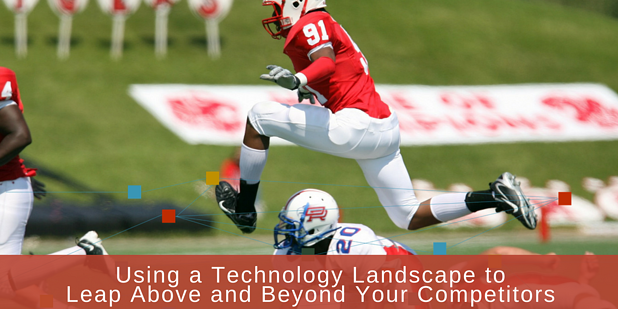 A technology landscape could help you take drastic steps that catapult you above and beyond your competitors. And it’s easy to obtain one, too. IPVision is only one of several firms that can show you the landscape surrounding your current intellectual property. Before you request a technology landscape from just anyone, however, there are a few questions you need to ask yourself. Why do you want one? How will you use the information? Who can give you the guidance you need to make informed decisions? Why do you need to evaluate your technology landscape? Not every idea is the right next move. You can make a shot in the dark, and hope you hit on the next big thing, or you can analyze the market trends and have a better idea of what will be the next big hit. It’s almost like having a baby—you can always guess at whether you should buy pink or blue clothes, or you can look at the ultrasound to see which ones would be more appropriate. We’ve explained before the various positions in the patent process where you would need a technology landscape. Now let’s dig in to see how that document can help you more specifically. You’ve been at the top, and you like it there. Why wouldn’t you? But with your best technology behind you, you’re going to need to find something new to hold your crown as king of the hill. We’re here to help you analyze that white space, not only to see what hasn’t been done, but also to see where your competition is heading. You might be able to beat them to the next best thing and stay on top. It could be that you’re going in the wrong direction. We can help you look at your landscape to see the direction the more positively-received products have been going. We can also figure out how likely your next idea is to be well-accepted. So you had a great idea. It was so great, in fact, that everyone wanted a piece of it. New ideas were springing from your intellectual property. Using your landscape, we can help you decide if the next step is to make it better, or if ideas surrounding this your original patent are just about exhausted. It might be time for you to move on. Or it might be time for you to make some show-stopping changes to your product with your next patent. The only way to stay number one is to have the right tools and work harder than everyone else. We can get you the right tools, but we can also make sure that all your hard work is going in the right direction. By analyzing the trends, we can keep ahead of the market to see where which of the newest patents have been most successful and whether or not they will likely continue to be so. When you keep ahead of the IP game, being first to the next great idea will come much more easily. At IPVision, we’re the only ones who are going to give you the attention and guidance you need to analyze your landscape. This is no drive-by, discount data dump. Our innovation consultants will lead you step by step to see what your next move should be. Give us a call today.